Whirl Classroom Leader Guides make preparing for and presenting lessons easy and rewarding. They provide everything leaders need to engage kids with the lesson’s Bible story and theme while making the experience relevant and relatable. • Lessons follow a four-part sequence: Welcome, Hear, Respond, and Launch. • Each Leader Guide has a page with a Bible story background and supply lists to help leaders prepare. • Scripted, bolded text in each section helps leaders easily know exactly what to say as they lead kids through the lesson. Bulleted questions and numbered step-by-step directions keep the lesson simple and organized for leaders to follow. Animated videos introduce the day’s theme through the adventures of the Whirl kids. 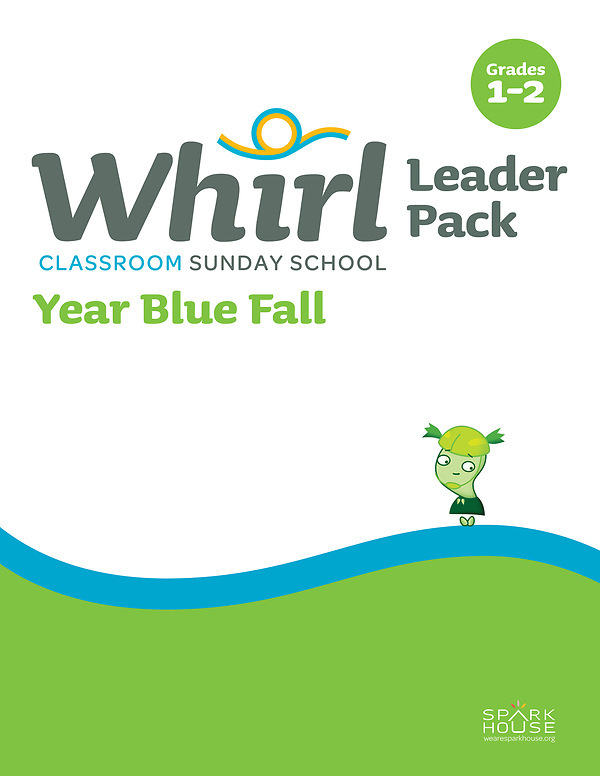 This Leader Guide Pack provides one Grades 1-2 leader guide for each week in the 12-week Year Blue Fall quarter.